David Deluzio, B.A. ’77 (Political Science and Philosophy), LL.B. ’80 (University of Windsor) is practising law exclusively in the areas of labour and employment law since his call to the Ontario Bar in 1982. He began his career at Chrysler Canada Ltd., in the Labour Relations Department (1982-1987) and Chrysler’s Legal Department (1987-1991). 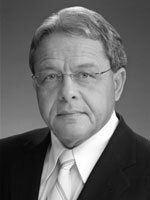 He entered private practice in 1991, joining the Windsor law firm of Wilson, Walker, Hochberg, Slopen, after a brief tenure with the Office of the Employer Advisor. In February, 1993, he opened his own office, David Deluzio Law Firm, providing advice and representation to many employees and business owners in many types of industry and commerce, up to the present day. An early disciple of alternate dispute resolution, he is well known for his mediation and negotiation skills, knowledge of employment law statutes, regulations, new case law, analytical skills and ability to communicate complex legal problems to clients. He is also well known by peers and colleagues in the Ontario legal community and by his past clients, for his vast experience in helping clients to resolve various employment law matters with fairness, integrity and honesty. He is a member of the Law Society of Upper Canada, the Essex Law Association, the Caboto Club of Windsor, the Windsor Chamber of Commerce and past member of many professional, civic, church and community associations in Windsor, London and Detroit. All information provided is provided for information purposes only and does not constitute a legal contract between David Deluzio Law Firm and any person or entity unless otherwise specified. Information is subject to change without prior notice. Although every reasonable effort is made to present current and accurate information, LinkNow!™ Media makes no guarantees of any kind.